National studies show students with a sales education receive more job offers, start at higher-than-average salaries, contribute to business success quicker, and are happier in their careers. 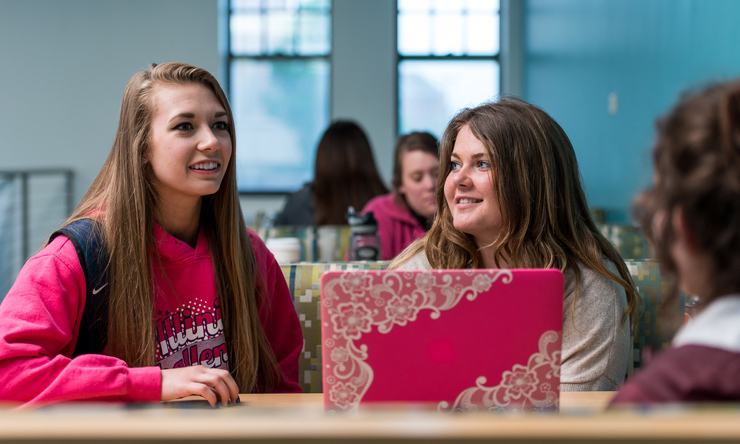 If this matches your interest and goals, St. Ambrose has the program for you. Our graduates work for Miami Marlins MLB, Deere and Company, Cardinal Health, Cottingham and Butler, Cars.com., HNI Corp., BDI Corp., and others. 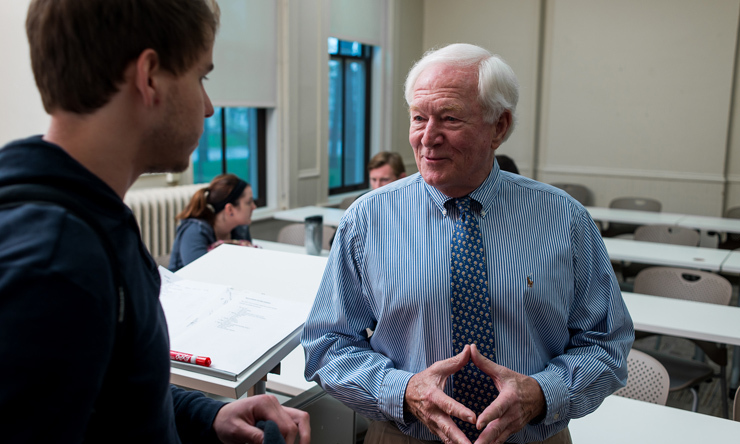 Our professors provide an education that gives you an edge in the workforce. The knowledge, skills, and experience you'll gain at SAU will give you confidence to enter the field and immediately contribute to company success. We allow you to choose an area of focus -- business sales or healthcare sales -- then cater your courses to your goals. Business Sales – Foundation courses include accounting, economics, finance, business ethics, marketing, and management. Your specialized courses include sales principals, customer and relationship development, communicating to lead and influence, and advanced sales techniques. Electives include negotiation, professional practices, and sales management and processes. You will also complete an internship. Healthcare Sales – Foundation courses include accounting, economics, finance, ethics, marketing and management. Your specialized courses include medical terminology, healthcare terminology, biomedical ethics, healthcare sales, customer and relationship development, and communicating to lead and influence. Electives include negotiation, professional practices, and sales management and processes. You will also complete an internship. We've dedicated space in Ambrose Hall for our sales majors. The SAU Sales Center is equipped with the educational technology you need to hone your skills in interviewing, presentations, selling, and developing client relationships. It is also the hub for guest speakers, internships, intercollegiate sales competitions, and individualized career mentoring. Business Sales consultants can build rewarding careers in advertising, insurance, real estate, retail, securities and commodities, financial services, travel, and wholesale manufacturing. Healthcare Sales consultants sell complex scientific products to clinics and hospitals, physicians, or to patients. You can work for companies that manufacture and market pharmaceuticals, medical devices, and consumer healthcare products. Sales fields include assistive technology, biomedical and biofeedback, diagnostic and examination devices, optical products, and orthopedics. What do alumni say about the program? We launched our Sales program in 2017 and by Spring 2018, more than 80 students had enrolled in Sales courses. Some chose to major in the program and others added it as a minor which perfectly complements a degree in Marketing, Strategic Communication, and more. Ryan Dobek '18: "The faculty and staff in the sales program are tremendous. They don't teach from a textbook; they teach from experience. You learn how to be a professional salesperson." Blake Syron '18: "Everyone wants you to succeed and be the best you can be in each class. You will really experience personal growth throughout the program." The following is a suggested 4-year plan of study to major in Business Sales with one semester of Study Abroad. This plan assumes the student has not met the foreign language requirement (three years of foreign language in high school). The following is a suggested Plan of Study for a major in Healthcare Sales with a minor Leadership Studies and one semester Study Abroad.